Lightly spray a 9 X 13 pan with cooking spray. Put the white chocolate chips in a microwave safe bowl and melt them, in the microwave, on high for 1-2 minutes, stopping every 30 seconds to check and stir. Stir in the entire can of strawberry frosting. Spread into prepared pan and chill in the refrigerator for at least 30 minutes. Cut into square and serve or give away. 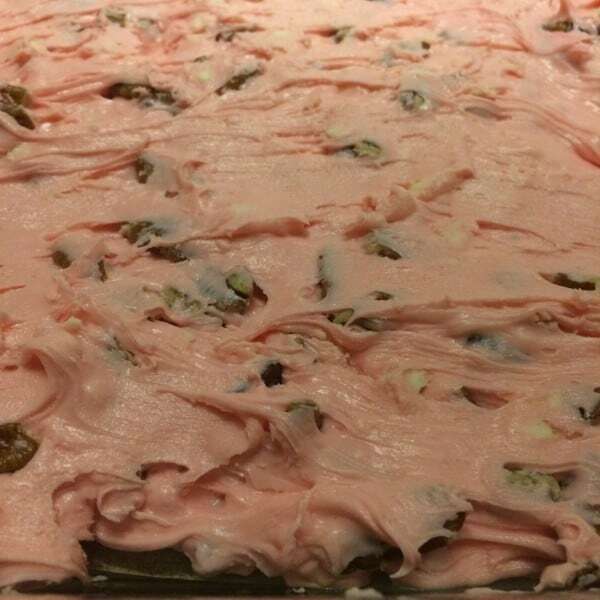 This fudge will keep, refrigerated, for up to 2 weeks.